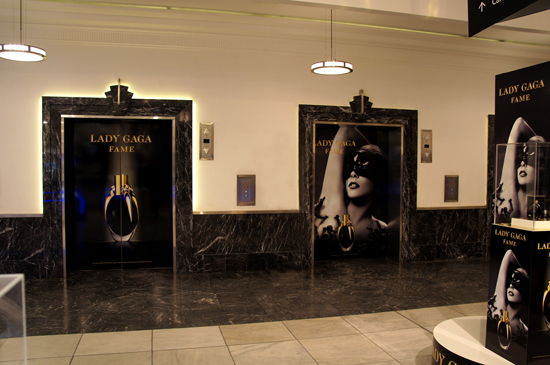 GaGa does good lift treatment & in store moments for her new Fame perfume. Spotted in Myer Melbourne. Andy & Dan are the lads behind Hawthorne Garage, a welcome newcomer to the deli / cafe / speciality food scene on Brisbane's south side, which is somewhat lacking from what I can see (and equals opportunity from where I sit and tap this out!). There's an espresso window out the front serving up DNA coffee, seemingly popular with the yummy mummy's who reside is this well heeled pocket. Inside you will find all the goodies you might need for a quick top up shop or dinner tonight, a small deli counter offering a popular, quality range and a hot roast chook if you can't be bothered turning on the oven. A great range of Levain breads (Brissy's best baker according to me) and their mini flourless cakes. Pick up some fresh blooms from a small Campbell & Bradley Florist stall as you head out the door. Being an old garage the industrial bones have been retained and polished, and there is parking out the back. You can find this modern little grocer giving the south side a tune up in both the food and service stakes on the corner of Orchard Street & Hawthorne Road, Hawthorne. Big thanks to the lads for letting me take some snaps, I am sure they will do very well here with their first venture. Open 6am to 8pm daily. Hawthorne Garage, 255 Hawthorne Rd, Hawthorne QLD. 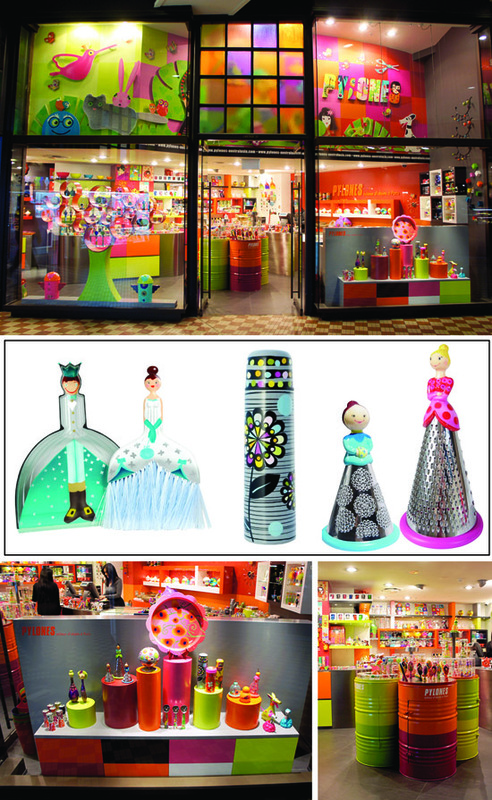 Sportsgirl was the last of my top 3 VM picks in the Bourke Street Mall. Ply wood palm trees in pastel and citrus tones promised a fashion paradise awaiting in store. This retailer always delivers an eye catching entry statement and is worth a look if you're in that part of town. As for the other big brands in the vicinity ... well it was all a bit dull really (a bit like their share prices). Sigh. Oh to be pool side and soak up the pop pastel palette of The Saguaro Hotel in Palm Springs. 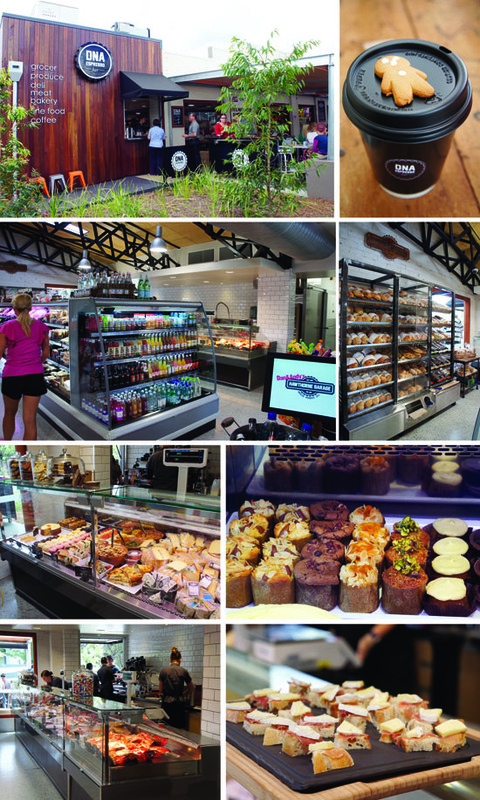 The Margaret River Chocolate Company has opened a rather stunning new store in Perth. A heritage space on Murray Street has been transformed by architect Paul Burnham to yeild a slick showcase for all good foodie things from the Margaret River region. Pics via PBA.